Join our Iranian Revolutionary Tour and head onwards to frozen conflict zones and unrecognised breakaway republics. 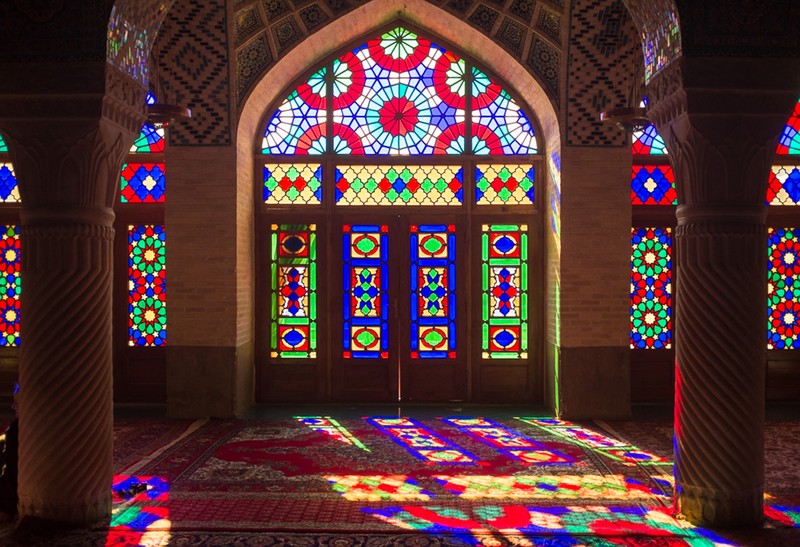 In Iran, this tour takes us to all of the major sites in Tehran as well as the ancient capitals of Shiraz and Esfahan. 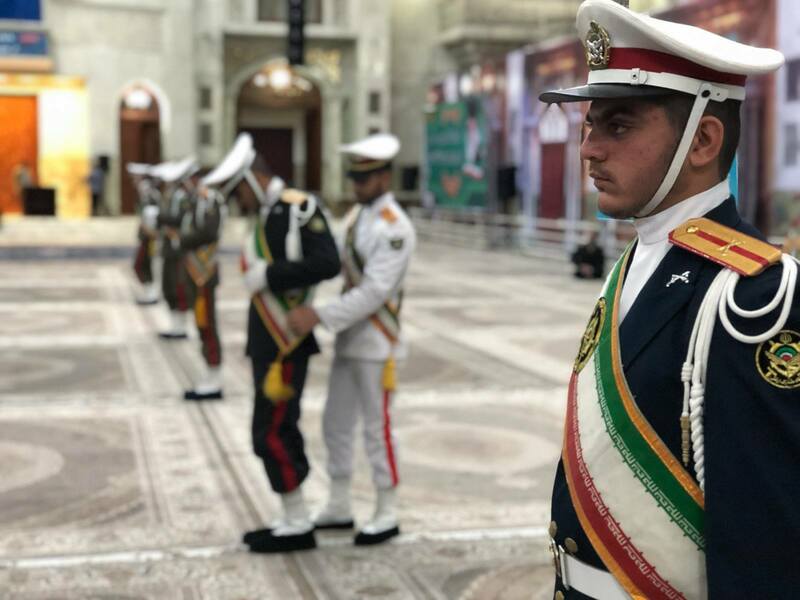 On top of the rich history of the region, this tour also offers lots of opportunities to interact with locals, and witness the visual reality of what is the Iranian Revolution. On the trip itself and through our local guides, we will be doing lots of hidden extras (not published on the itinerary!) and where possible we will show you every side of this unique and majestic country. 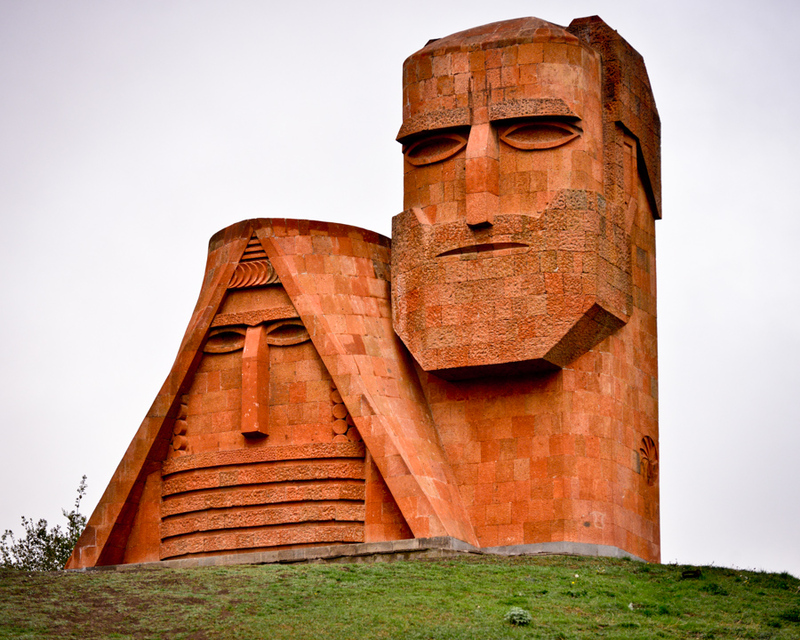 We will then cross the border overland as we head into Armenia to begin exploring the unrecognised countries. This part of the tour takes you to Armenia, Nagorno-Karabakh and the place they call “Europe’s Hiroshima” before finishing in Tbilisi, Georgia. The extended group moves on to Stalin’s hometown of Gori, before entering the war-torn republic of Abkhazia, formerly the pearl in the Soviet summer calendar. YPT has truly pioneered travel to the Caucasus and the “other NK”; the frozen conflict zone that is Nagorno-Karabakh. This region suffered a horrific war after the fall of the Soviet Union, and despite being de jure part of Azerbaijan, is in fact a de facto unrecognised independent nation state (1 of 4 in post-Soviet Europe). The second part of this combo tour is split into two parts. Group A will cover Armenia and Group B, Georgia. You can choose to do both groups or only one. Get in touch about pricing for either individual group. 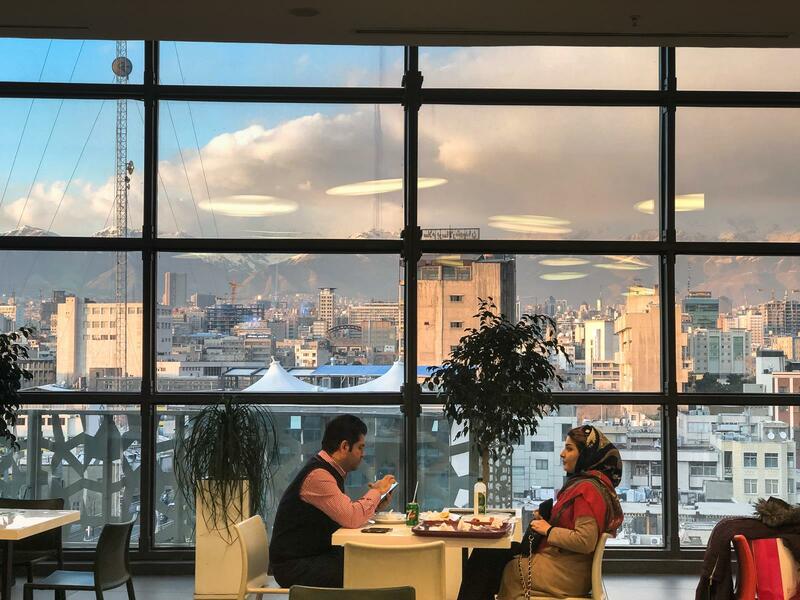 We offer Iran visa support for people of all nationalities (except for Israel). Since US/British/Canadian nationals need to get a visa in advance and pre-clearance takes a long time, we would advise them to book the tour at least 3 months before its starting date. Most countries do not require a visa into Georgia or Armenia. If they do it is, for most, an easy to get eVisa. 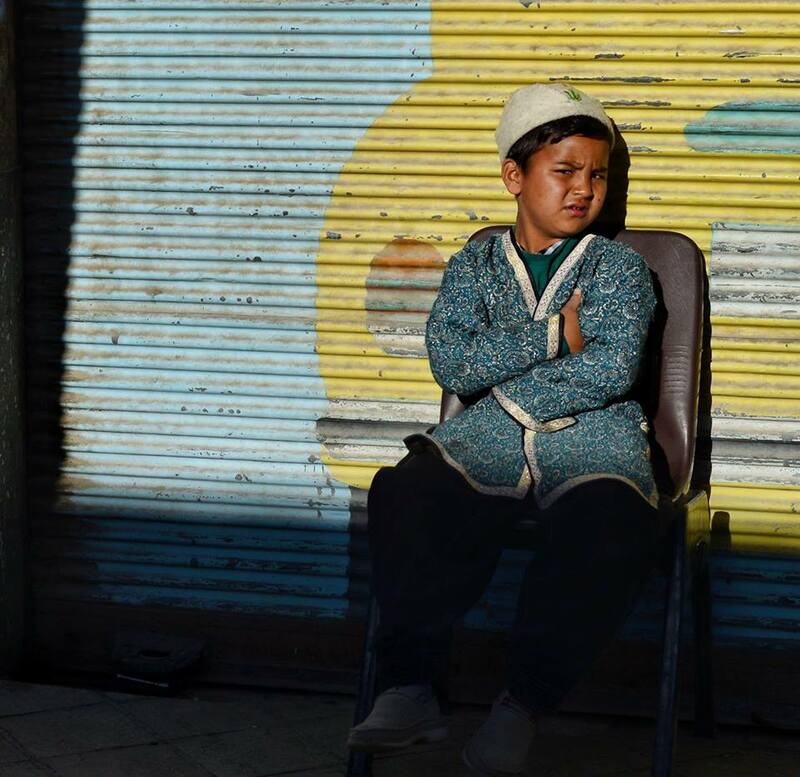 This trip takes us not only to two frozen conflict zones, but also certain areas that are at times heavily affected by the situation on the ground. If a certain activity, or even country cannot be visited due to the situation on the ground, YPT Group will arrange an acceptable alternative activity, but will not be held in any way liable or responsible. A full copy of our terms and conditions is available on request. *YPT terms and conditions apply to this trip. Cross Armenian/Iranian border, formerly one of the tensest points of the Cold War era. Transfer to Agarak and to our hotel for some R&R. Sightseeing, drinking and looking at local talent, a real treat after the week spent dry in the Islamic Republic. Morning departure to Goris via scenic route crossing mountains. Lunch at an Armenian Borat house for home brewed coffee, roast chicken, and for those brave enough… vodka. Visit the “old village” cave city on the outskirts of Goris, Capadocia of Armenia. Visit Tatev Monastery using the longest cable car in the world, 5,700 meters! Traditional Armenian lunch in Goris. Met by our trusty fleet of vans for the highlight of this trip, the transfer to Nagorno-Karabakh, one of 4 unrecognized breakaway frozen conflict zones in the former Soviet Union. Visit the foreign affairs department and get our Nagorno-Karabakh visas. It is optional to have it in your passport, as this stamp means you cannot enter Azerbaijan. Leisurely walk into town for a walking tour of Stepankert, one of the smallest and slightly quirkier capital cities of the region. 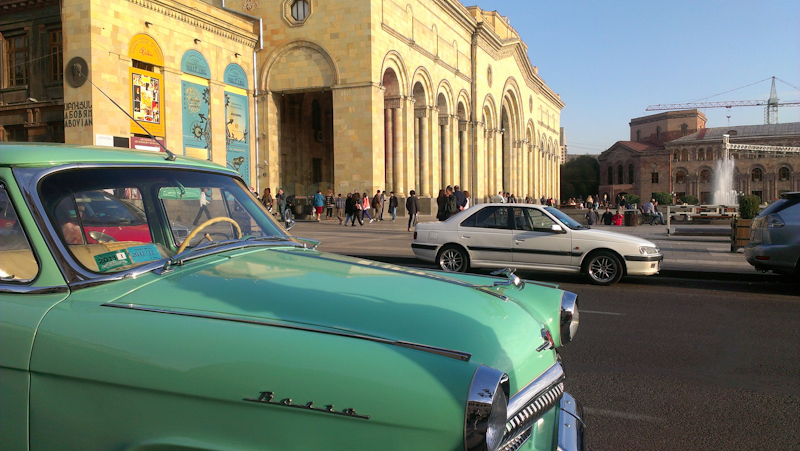 We also take the time to visit the fabulous Soviet-era amusement park and drive the dodgems! Visit to the national stadium for a look around. Pub crawl throughout the town. 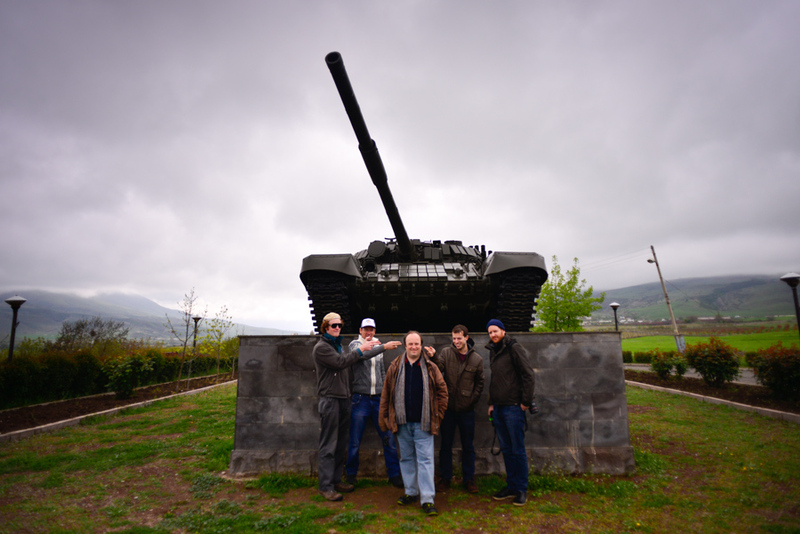 Visit the extremely disturbing museum to fallen soldiers in battles during war with Azerbaijan. Museum contains a variety of objects and photographs and tells of horror stories about the war. 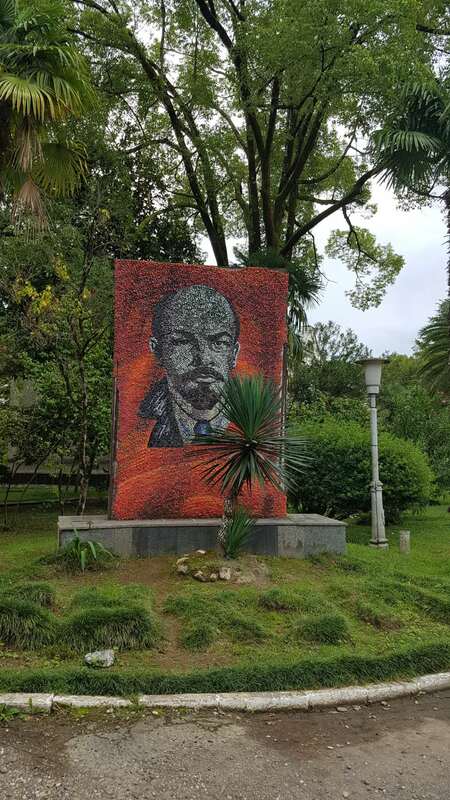 #TRIP HIGHLIGHT# picked up by the Lada fleet to visit the “DMZ” abandoned town, Agdam AKA “The Hiroshima of the Caucuses”, situated at the front line of this frozen conflict zone – very off the beaten track. #NOTE# Technically it is not allowed to visit here, so the situation will be judged when we arrive. People will have to strictly follow instructions here. Quick lunch stop along the way to Gandzasar. Visit to the Gandzasar monastery, one of the oldest monasteries in the world, tracing its roots to 600 AD, it survived multiple bombing attempts by Azerbaijan during the conflict. Explore ancient cemetery around the monastery. 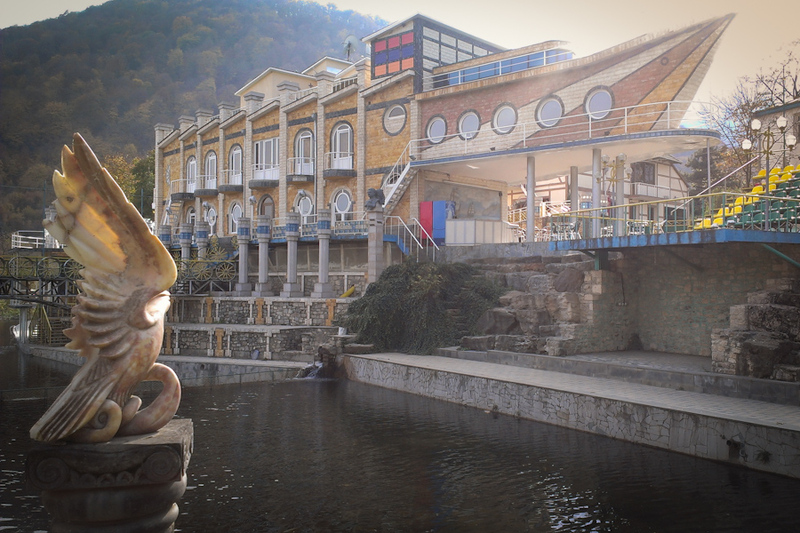 Drive to a wacky village of Vank to see Titanic and Seastone hotels, strange places built by a local eccentric billionaire, and a real weird treat of the trip. Return to Stepanokert to have dinner at Ureni – a traditional Karabakhi restaurant. Stop at the Armenian Stone hedge, twice as old as the English one. Roadside lunch on way to Yerevan. 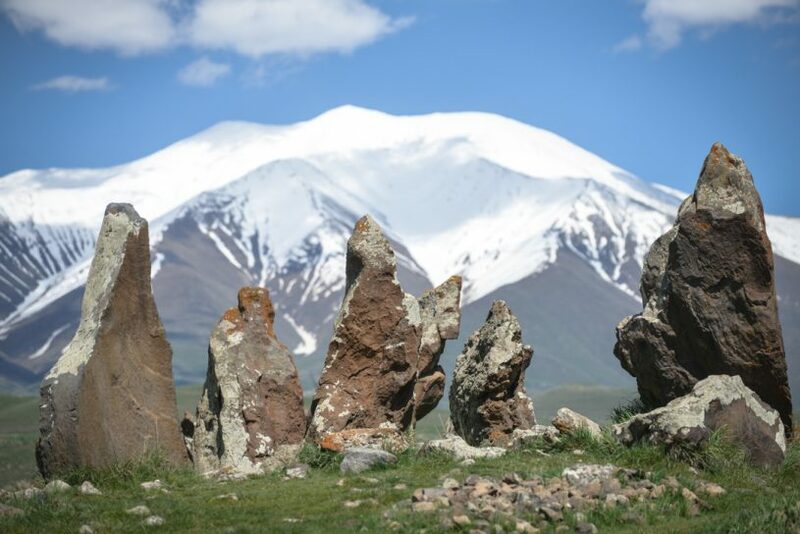 Visit Khor Virap, an ancient monastery overlooking Mount Ararat. Chance for R&R in the hostel. 4 person, twin, and triple rooms are available for little extra costs. Please let us know if advance. Dinner in a traditional Armenian Restaurant. Night on the town in Yerevan. Yerevan is a very young party town and will provide for a great night out! Visit the Gerhard monastery, one of the oldest churches in Armenia, carved entirely out of the mountain! Visit to Armenian Genocide monument and museum. Lunch at one of the outdoor restaurants in the hills of Yerevan. Dinner in a famous traditional Armenian restaurant in downtown Yerevan. Pub-crawl and overnight in Yerevan. Soviet Market!!!! Chance to buy USSR branded jackets and all kinds of USSR kitsch. Free afternoon for last minute shopping or some rest. Overnight train to Tbilisi departing at 21:30 pm. At 3.30am we pass through the Georgian Border, and the guards come onto the train to stamp passports. 7:00 am arrival in Tbilisi. Check into Envoy Tbilisi Hostel. 4 person, twin, and triple rooms are available for little extra costs. Please let us know in advance. Visit to “Baraholka”, an all-Soviet memorabilia market with the chance to buy military hats, medals, pins, stamps, and caucuses-style swords and knives! Departure to Gori – The hometown of the infamous Joseph Stalin! Journey takes only a few hours. Stalin is still very heavily regarded here, which makes for some interesting conversations with the locals. Visit THE Stalin Museum and Stalin Statue. The museum tour includes his former train and the house he was born in. Visit the Akhaltsihe cave city, a 3000-year-old settlement overlooking Potshovi river. Transfer back to Tbilisi before taking the overnight train to Zugdidi in Western Georgia. Zugdidi → Abkhazia border crossing. This is a very tense border, where very few tourists cross, and is one of the most heavily militarized places in Europe. Transfer to Sukhum, the capital of the breakaway republic, and until recently war-torn city. Walking tour of Sukhum. During Soviet times Abkhazia was the pearl of Soviet tourism, and whilst many Russians still come here its glory days have passed. Bowling at a local nightclub. Visit to the wonderfully quaint and beautiful Psyrtskha Train Station and a small Soviet hydro electric station hidden in the cliffs. We jump on the New Athos cave metro to visit one of the largest and most spectacular caves in the world! Return to Sukhum for dinner and a few sundowners overlooking the Black Sea. Visit the burned out Abkhaz parliament for some urban exploration. Hit the beach before a night out in Sukhum, coupled with traditional food and drinks on the promenade. Cross into Georgia proper and board an overnight train to Tbilisi. Early morning arrival in Tbilisi.